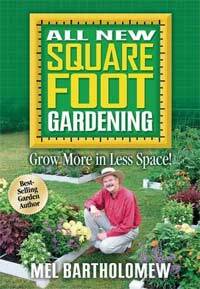 In 2006, inspired by the book “The all new Square Foot Gardening” I began gardening in earnest along the side of our small suburban home. I began with four 4×4 foot partially raised beds. They were established in the four foot area of gravel between the deck and the small road which goes by our house to access 8 homes. The first year I established beds about 12 inches deep. I achieved this by removing the layer of gravel on top, then digging a square 4×4 foot hole to about 8 inches deep. I put the soil aside on a tarp on the road. 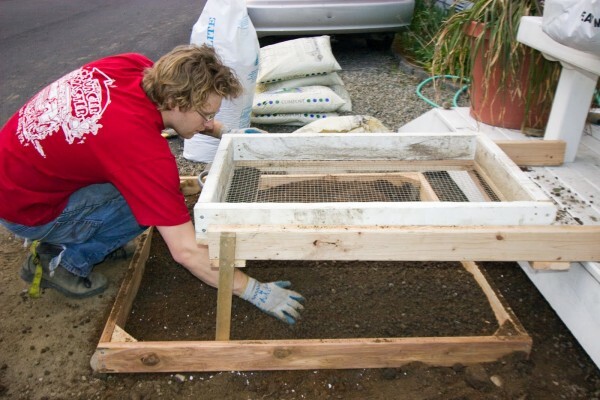 To remove rocks and break up the heavily compacted soil which had a good deal of clay in it, I built a Soil Sifter of wood and a coarse metal screen called “hardware cloth”. It slides on a platform which I place over the planting area. The screen removes anything larger than a centimeter, and I have since created an insert for situations where I want to sift the soil even finer. Breaking up the soil and removing rocks with the Soil Sifter which I built. I added a quarter of a large bag of Vermiculite (about a cubic foot), about a cubic foot of Peat Moss to each bed, and about two cubic feet of compost. This resulted in a 12 inch deep bed of loose composition which extended 4 inches above the original soil level. I am constantly working to increase the depth and richness of the soil. My general approach to enriching the soil has been to make each bed deeper by removing and putting aside the enriched soil, then digging the hole deeper than the previous year. The hard packed soil and clay I remove is filtered and mixed with the enriched soil and additional compost to fill the hole back up. At this point, three of my five beds are 18 or more inches deep. To be honest, I have not done any analysis to determine if the deeper beds perform better than the shallower ones. One thing I have noticed however is that the deep beds settle significantly more over the growing season. In the most extreme case, one of my beds ended this season 3 inches shorter than at the beginning of the season. Some of this can probably be attributed to material leeching into the surrounding soil, some is lost to the plants produced during the year, but I suspect the majority is simply the result of the soil settling during the year. I will certainly loosen the soil before replanting next year to keep it from getting permenantly compacted, but I do think a certain amount of settling is normal. The time spent gardening I give up freely. At this scale, it is just an edible hobby. The value of a year’s production is probably close to my annual expense. I have estimated my annual expense around 150$ per year, over the 4 years I have been gardening. Some years I just add compost to re-enrich the soil, but others I have added watering systems, additional beds, or bought a lot of seeds. Our favorite crops are those which produce well with little cost and effort. Snow Peas in the Spring and Fall and Pole beans in the heat of Summer are our bumper crop, easily producing enough beans most weeks to use in 3 meals. 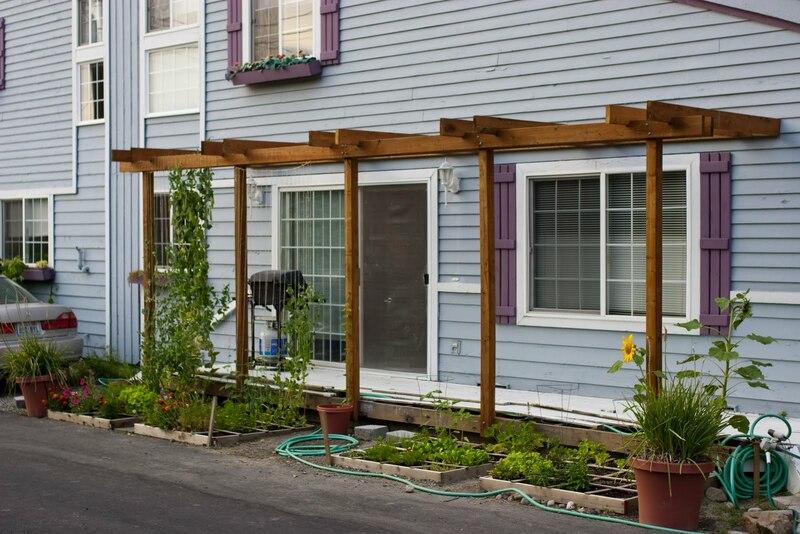 The back row of each of our beds is dedicated to beans, with strings supporting their growth up to the pergola. Tomatoes are also a favorite, although the relatively short Seattle summer has made them iffy at best. We tend to have no tomatoes util the very end of August, when we are inundated with production. Unfortunately, more than half the flowers which form into tomatoes do not reach maturity on the vine. Thankfully, many do ripen completely if brought inside and placed by the windowsill. This was a great discovery as we tried it this year for the first time. Basil is also difficult as it likes hot sunny days. We tend to see plenty of it in August and September, but sometimes it does much better than other years. Spinach in the early spring and lettuces in spring and fall. Not a high value crop, but a salad or sandwich with fresh lettuce is something to be proud of. Carrots and Onions. Again, these are not expensive crops in the store, but onions in particular grow well with little cost and maintenance, and you can cure them in the garage and consume through the early winter. Carrots can stay into the ground until you need them or until a very hard frost. 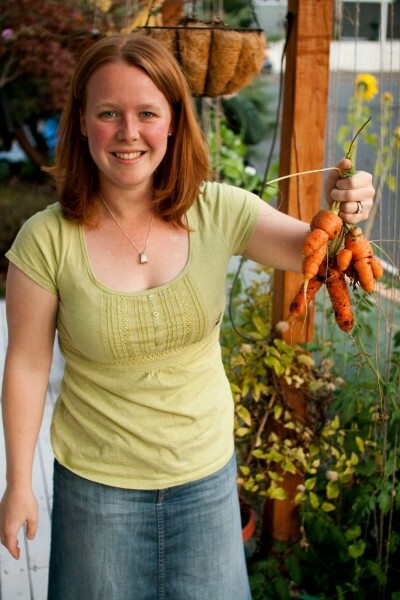 It is fun to pull out a good looking carrot in December when everything else looks pretty dead. Some years, we have gotten a good crop of Bok Choy, but recently we have had issues with either being eaten by bugs, or bolting to seed too quickly. Peppers have never been productive for us. We tried Okra this year on a whim (and a 50 cent seed packet) and got three okra pods out of two plants. Novelty, but not something to rely on. Squash has also been tough for us. I think that it needs more space than we have been willing to give it. 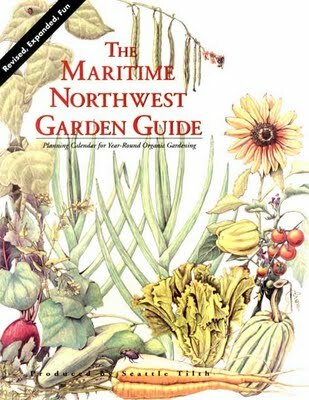 In addition to the Square foot gardening book itself which was an inspiration for my garden, The most useful guide to gardening in the northwest is the aptly titled “Maritime Northwest Garden Guide” prepared by Seattle Tilth, a local organization which helps people grow their own food locally, organically and sustainably. It is based around an annual calendar, which a chapter calling out wat you should be doing each month of the year. It incudes recommendations on when you should start seeds indoors, when you can plant other seed types indoors and specific seed and plant varieties that have been tested and proven in the Seattle Area. 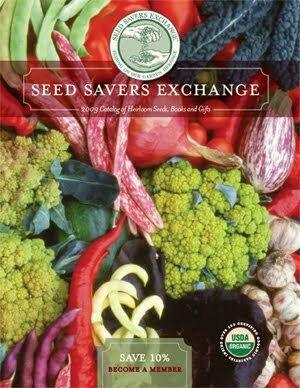 Seed Savers Exchange is an interesting organization which specializes in unique and specialty seeds. Many of their seeds are organic, and members gain access to a network of hobby gardeners which offer up additional seed varieties. Territorial Seed is a large seed manufacturer and distributor in Oregon. They offer many varieties which are especially well suited to this region. It turns out that chemical/agricultural giant Monsanto bought this and many other seed companies in 2005, but I do not think that this prevents them from producing the same quality, non GMO seeds which they built their business on. Territorial Seed also has a sister company, the Abundant Life Seed Company, which sells only Organic seed. Nice job on transforming a small area outside of your house into a viable, working garden space! My name is Josh Kirschenbaum and I am the Product Development Director for Territorial Seed Company. I wanted to point out that Territorial Seed Company is not and has never been owned in any way by Monsanto. This is a false rumor that has been spread from different blogs and websites. Territorial Seed Company is a family owned business and has been ever since it's inception in 1979. Thank you Josh for clarifying this misconception. I had heard this through some of my friends and had did a little research on the web to confirm this while writing this article. It looks like the sources I found were mistaken. Territorial may have sourced some seeds from a company loosely affiliated with Monsanto in the past, but they are definitely not owned by them. My apologies for the misrepresentation of an important local business.